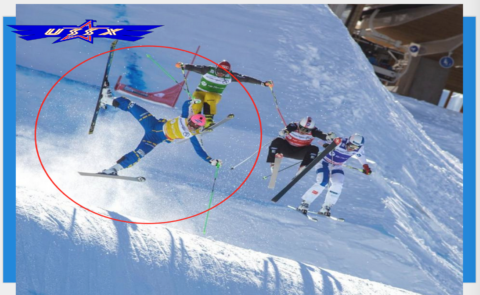 Introduction to ski cross and USSX training program. The main objectives in ski cross development. Ski cross safety. Fundamentals of human body kinetics. Concepts of the main position. Theory of modern turn.Yellow level Step-by-step athletes training system. Special exercises and training schedules. Winter training program. Psychological aspects of the effective club environment. Questions and answers on the organization of the training process. Practical training on Day 1 material of the main ski cross position. Special exercises for training turns in ski cross. Terrain features for the Yellow level. Theory of effective overcoming of the obstacles. The movement on the features. Courses for Yellow level competitions. Practical overcoming a ski cross features. Special exercises for training to overcome ski cross features. Summer training program for ski cross athletes. The main line of training process. On what to focus your attention. Tests and their processing. Testing according to the program of training of Yellow level. Test will include material covered in the seminar: turn technique, feature overcoming technique, summer training. Open books and reference materials allowed.